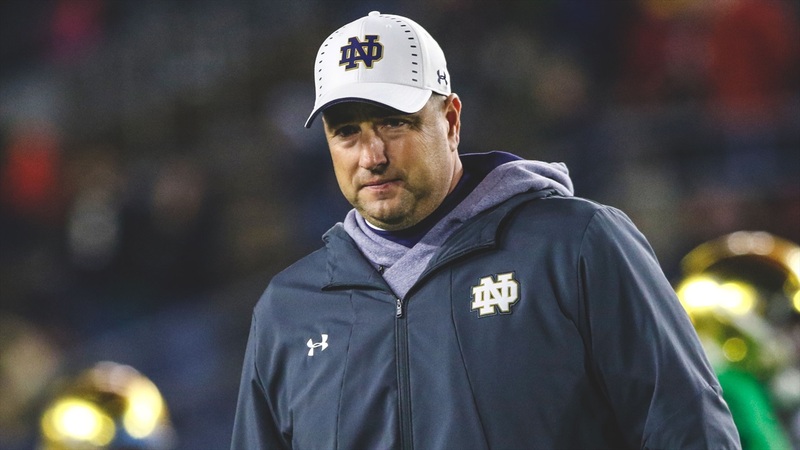 Notre Dame interviewed defensive line coach Mike Elston on Wednesday following the conclusion of National Signing Day for the Irish. “He’s a super-talented young man who is going to add an element that we need with length, speed and athleticism off the edge to create a great pass rush. He has the ability to play with great leverage to defend the run on first and second down. “This will be the fifth guy in the class. One thing that comes to mind is winners. There have been a lot of State Champions in this class. Isaiah’s team did not win the championship but they played for it. They know how to compete and prepare themselves. “This go around, we had so many guys committed early and that was the charge to be done with it by December. With preparation for the playoffs or any type of bowl game, it makes for a better transition into that knowing in early December you have most of your class signed. “When you’re opening presents with your kids on Christmas morning, you’re not worried about how many times to call a young man during the holiday break to stay happy with Notre Dame. January changes everything because you’ve signed all your players, so you’re out recruiting underclassmen. “It’s good to hear. You have to do the work. It’s shocking. You’re sitting there in front of them in December and they want to know about the transition. It’s the volume of work. They went through a work out this morning that was very stressful. I can’t imagine they have gone through anything like that. They want to be part of it, but it’s a whole heart, mind and soul commitment to the big leagues.